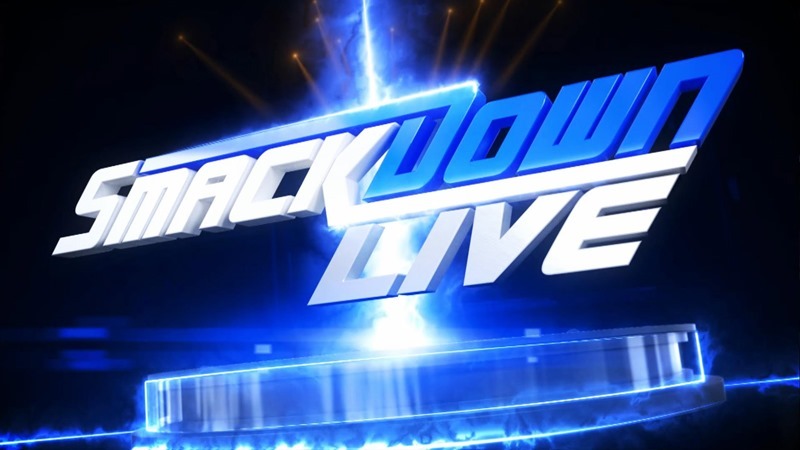 SmackDown this week took place in Birmingham, Alabama. Here’s all the action that went down in the ring. Smackdown General Manager kicked the show off with a contract signing for the Women’s Championship match at No Mercy between Becky Lynch and Alexa Bliss. Both ladies hit the ring, did some trash-talking and then Alexa decided to rearrange Becky’s skull with the clipboard. Lynch wasn’t down for long however, as a rear assault sent Alexa fleeing up the ramp. All on her own, Lynch signed the contract and headed backstage. The Miz had some words for Daniel Bryan, and most of them were rather whingey as he wasn’t keen on defending his IC title on Smackdown that night. Telling The Miz to read the fine print on the contract, the Awesome One had no choice but to wrestle or forfeit his title. The Usos were in peak heel form this night, as they stomped all over Gable’s injured knee throughout this Smackdown bout. As the match wore on, both teams landed some big offense but a double-superkick from the Usos on Jordan that was followed up with a top-rope splash from Jey sealed the deal on that win. Wanting more, the Usos then went backstage to challenge Rhyno and Heath Slater for their tag team belts. And they insulted their tasty crackers. Jeez, some teams have no class. Jack Swagger joined the commentary team for the next Smackdown match, as Corbin and Crews went to town on each other. Crews was a dominating force early on, but Corbin mounted a comeback that ended with him using a Deep Six finisher to pick up the win. After the match, Corbin and Swagger had a little stare-down before the big wolf headed backstage. With the Intercontinental title on the line, The Miz had to pull out all the stops to remain ahead of Dolph Ziggler in this Smackdown title bout. Ziggler was having none of the dirty tricks that usually come with a Miz match, as he grounded the IC champ and took him outside the ring with some big offense. The Miz responded in kind with facebusters, double axe-handles and a big boot. After even more offense being traded between the two, The Miz had had enough and decided to leave the match with his belt. Ziggler chased him down however, and threw The Miz into the steel ring steps. The referee distracted, The Miz grabbed Maryse’s perfume that was left an ringside and blasted Ziggler in the face with it. Blind and disoriented, Ziggler was easy prey for The Miz as he locked in the Skull-crushing Finale to retain his Intercontinental Championship on Smackdown. Rowan may have started this match with a big back suplex and a pummeling as he dragged Orton around the ring, but the viper wasn’t going down easy. A middle-rope DDT and an RKO settled the match fairly quickly, but the mind games weren’t over yet. The lights went out, a mask appeared before Orton and Bray Wyatt appeared on the big screen to deliver a promo, as Orton was promised a match that he would never forget. This match was over before it even began, as Carmella nailed Nikki at ringside, forcing the ref to call for the bell to be rung. Ambrose wanted to end this Smackdown main event early on with Dirty Deeds, but Cena quickly escaped the move. Controlling the opening of the match from that point on, Ambrose landed some big attacks on Cena, but the Cenation leader managed some brief comebacks before being shut down again. Looking for a win, Cena managed to get Ambrose into an Attitude Adjustment, but the madman wasn’t going to stay down for the three-count. Hitting Dirty Deeds on Cena, Ambrose also couldn’t pin his rival, as both men looked to end the match once and for all. As Cena attempted yet another Attitude Adjustment, Ambrosemanaged to escape and roll Cena up with a sunset flip to earn the rarest of victories: A clean win over the former doctor of thuganomics. AJ Styles then appeared, laying out both Cena and Ambrose, but his good mood was soured by the appearance of Daniel Bryan. Reminding Styles that Ambrose was promised a rematch with the current champ, Bryan announced that AMbrose would get his title shot next week on Smackdown. And then Styles turned around right into a Dirty Deeds from Ambrose as the night came to an end.